Atlanta, GA, November 9, 2018: “But you said your favorite color was blue yesterday,” says her mom. The quintessential toddler smiles naughtily as she manages to say “llloooo” (yellow). The first thing that strikes you about Aadya Kiran are her entrancing eyes that speak so much more than words ever could. That’s a blessing for the almost three-year-old, since words, which she was able to mouth before are now fewer and far between. Her movements are restricted, and feeding is mostly though the tube. 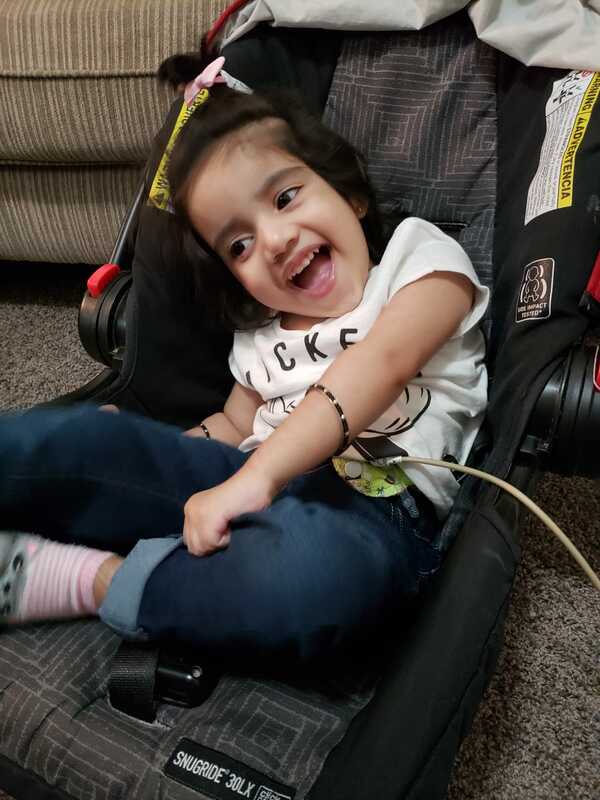 Life has never been the same for parents Kiran and Anju since the onset and eventual diagnosis of a rare neurodegenerative mitochondrial disease, leigh syndrome, characterized by severely progressive loss of mental and movement abilities (psychomotor regression) and often, terminal. Leigh’s syndrome has no known cure. 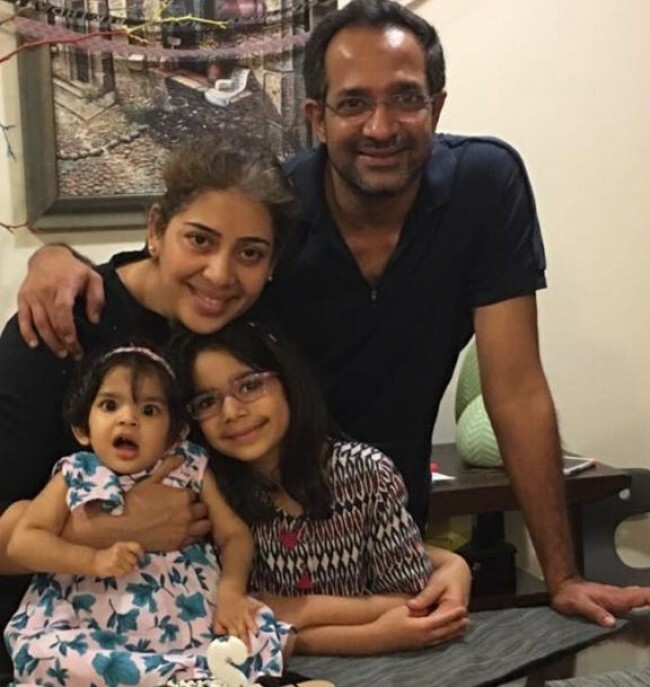 “At 28 months, Aadya had an elaborate vocabulary with well over 100 words and would even form sentences of 6-7 words. She had started to lift herself with some support,” says Kavitha Ramachandran, her Atlanta based aunt. After a bout of flu earlier this year, she cannot stand, walk or sit unsupported or crawl. Head tremors make routine tasks like using a straw to drink fraught with difficulty. Running on lower energy than what she needs to get through her day, even a simple cold can be disastrous for her. She recently had a surgery to place a feeding tube to help meet her heightened need for energy. She has braces for her feet, compression vest for her torso and a gait trainer on the way to help her be mobile. Two-year old Kshiti and her family are facing a similar battle. “Kshiti loved spicy food. She ate all by herself at 8 months without fussing about the kind of food,” says Divya, her mom. Kshiti was even younger, a little over a year, when she was diagnosed with leigh syndrome. Like Aadya, Kshiti too has been robbed of her abilities to eat, talk, walk and play, within weeks of her diagnosis. Despite parents Divya and Karthik’s growing concerns, pediatricians in New Jersey categorized Kshiti as a child that failed to thrive. But her parents knew better and the quest to answers led them to Chennai in Jan 2018. 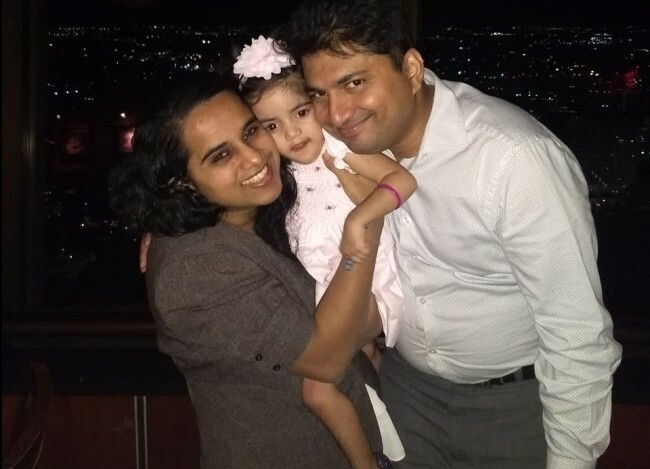 After an exhausting array of tests at Apollo Hospitals, then 15-month old Kshiti was diagnosed with leigh’s. The distress continued when they were told at the geneticist’s office, that this was their very first case and that they knew as much about this disease as the parents. 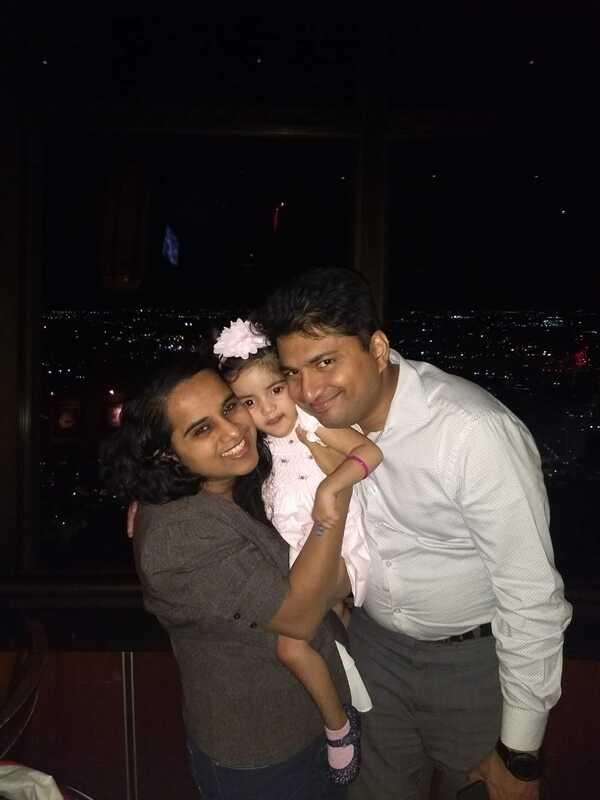 Aadya, her mom Anju and dad Kiran. Aadya and Kshiti’s condition is rare. To be precise, 1 in 40,000 rare. What that means is that of the 4 million newborns in the United States in 2015, the number of kids who have the same disorder as them is approximately 100. Leigh syndrome is one of 7000 conditions under the category of rare diseases (RD). What exactly is a rare disease? ‘There is no single universal definition of a rare disease. There are three elements to the definition as used in various countries – the total number of persons having the disease, its prevalence and non-availability of treatment for the disorder,” says Dr. Harsha Rajasimha, President, Jeeva Informatics Solutions LLC, Co-Director, Rare Diseases Systems Biology Initiative,George Mason University VA and Co-Founder and Board Director, Organization for Rare Diseases India. Of the 350 million people world-wide affected by these 7000 RDs, approximately 30 million have received this diagnosis in the US. Kshiti, her older sister Dhiti, mom Divya and dad Karthik. 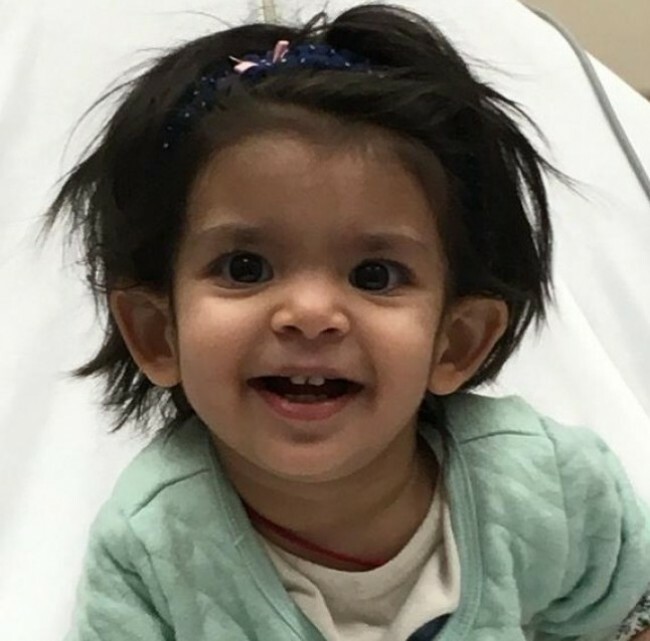 Aadya and Kshiti’s condition is caused by a mutation in their SURF1 gene. “About 80% of RDs are genetic in origin many of them being caused by single gene mutations. 50% of RDs are onset at birth and the rest are late onset. There are also environmental factors, chemical exposure, behavior and lifestyle issues that in some complex combination can cause the disease or its severity,” says Dr. Rajasimha. RDs include inherited cancers, autoimmune disorders, congenital malformations, and infectious diseases amongst others include Hemangiomas, Hirschsprung disease, Gaucher disease, cystic fibrosis, muscular dystrophies and Lysosomal Storage Disorders. Aadya and Kshiti are members of curesurf1 foundation (https://www.curesurf1.org/). In fact, Kshiti’s family was one of the three founding members. The foundation is built on a mission to fund SURF1 gene therapy research at UT Southwestern Medical Center in Dallas,Texas. The hope is that this research project will lead to an FDA approved clinical trial, which would be the first step in finding a cure for this devastating disease. Are there any success stories with rare diseases? Dr. Rajasimha lists Cystic Fibrosis, where the patient advocacy group CF Foundation teamed up with Vertex pharma to develop a treatment which is helping millions of people, Batten disease, which received recent FDA approval for a treatment developed by efforts of the Taylor King family to work with Abeona therapeutic. “Between 1983 and 2018, there are about 600 orphan products that were approved by the FDA. All of them are success stories,” he adds. “People shy away as soon as we talk about funding for research. They don’t understand that this is the ONLY hope we have,” says Divya. One of the hardest aspects of dealing with RDs is the lack of awareness. Friends, even families cannot comprehend the daily struggles and the uphill battles these families face, not only deal with specialized physicians visits each day of the week, but to turn advocates and bear the burden of finding a cure. Rare Disease Day is observed the last day in February. “Take one day out of your busy life to honor the struggles of patients with rare diseases globally, show that you #CareforRare – participate in events such as #Racefor7 (www.racefor7usa.com),” he adds. We must accept finite disappointment, but never lose infinite hope, said Dr. Martin Luther King. 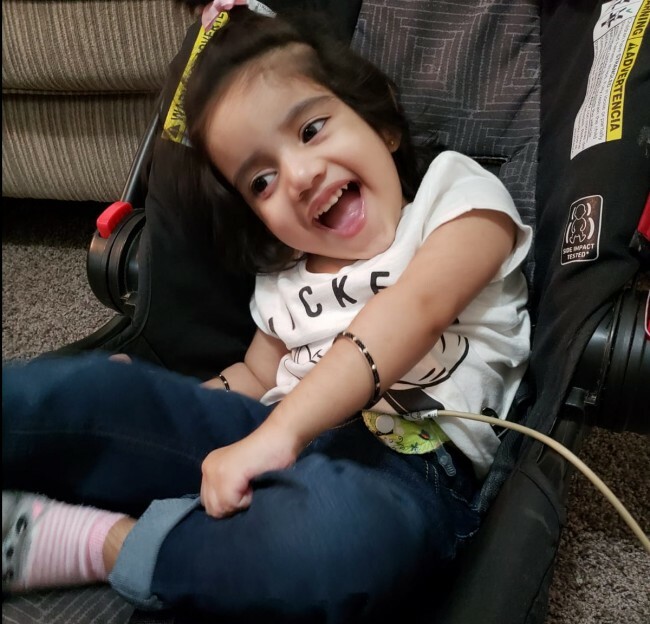 Embarking on a journey with destinations unknown, families with rare diseases answer to a higher purpose, holding on to hope that the foundation they are trying to fund reaches monetary and clinical goals. Sometimes heartened by the generosity of strangers, sometimes let down by their own, their odyssey stands testament to their indomitable spirit and courage to draw strength from within. Yes, their conditions are rare, but to thrive as a society, we must care.